Today we celebrate the 499th Anniversary of the Protestant Reformation. On All Hallows Eve (October 31) 1517, a monk named Martin Luther nailed a document to the door of the Castle Church in Wittenberg, Germany. The document consisted of 95 theses he wished to publicly debate concerning abuses he saw in the Roman Catholic Church. 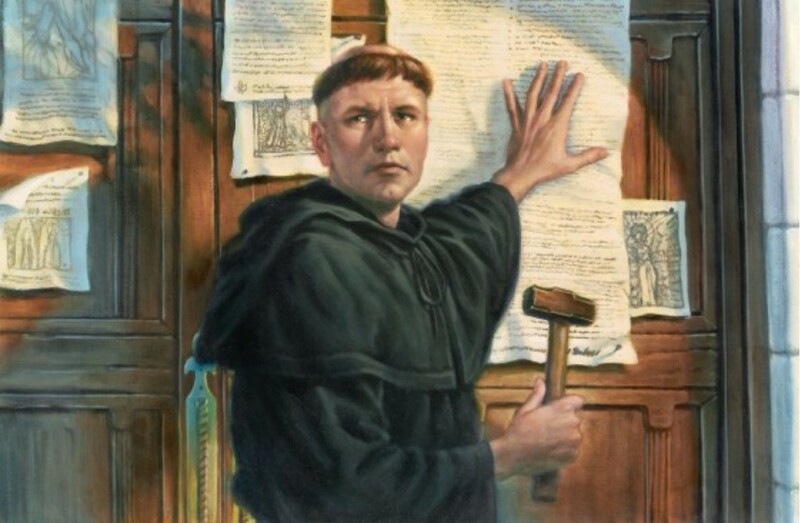 The nailing of the 95 Theses changed the world. Most historians include it in their top ten list of history’s defining moments. Just about every non-Roman Catholic Christian church which exists today can trace its roots back to the moment Luther’s hammer struck that nail. Next year, the 500th Anniversary of the Reformation will be celebrated, not only in Lutheran churches, but by numerous church bodies around the world. A major PBS documentary will be released. The History Channel will highlight Martin Luther. Historians and scholars will wax poetic as they give their unique insights as to who Martin Luther was and what the Reformation means. My church body (the WELS) is already making plans to celebrate the historic event and maximize the publicity surrounding it. This year, though, there will be no PBS documentary. The History Channel will most likely focus its attention on Halloween, as it does every year at this time. Few non-Lutheran churches will notice. Even our Lutheran celebrations will be much more subdued. Sure, we will celebrate the Festival of the Reformation in our Sunday morning worship on October 30th. Some communities will have joint Reformation Services. But even then, all the conversations and excitement will be about what we are going to do next year for the 500th Anniversary. But why? Why is the 500th Anniversary so much more important than the 499th? Why is our world so fascinated with round numbers? We celebrate our parent’s 50th Wedding Anniversary with big parties, fabulous trips and wonderful family reunions. But what about their 47th Anniversary or their 52nd? Why don’t we celebrate those with as much fanfare? In the end, they’re just numbers. Don’t get me wrong. I am all for celebrating the 500th Anniversary of the nailing of the 95 Theses. I am excited about the publicity it will bring and the opportunities it will give us to share the good news of the gospel with a world which so desperately needs it. Pastors and local congregations should already be planning their celebrations and looking for ways to take advantage of the opportunities it will provide in their local communities to talk about what it means to be a Lutheran. But don’t forget to celebrate the Festival of the Reformation this year. It is just as important and meaningful this year as it will be next year. In the end, the Festival of the Reformation isn’t about Martin Luther, being Lutheran or being WELS. 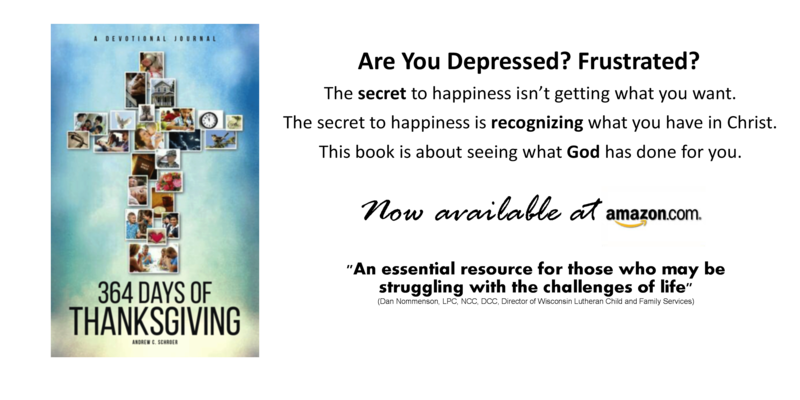 It’s about how God has preserved his Gospel throughout history. It’s about how he has used flawed human beings like Martin Luther, like you and me, to stand up for and speak out the truth. It’s about the free gift of heaven and forgiveness Jesus won for us by grace alone, through faith alone, in Christ alone. That’s something to celebrate every year.